Very excited the release of W.E. is fast approaching. 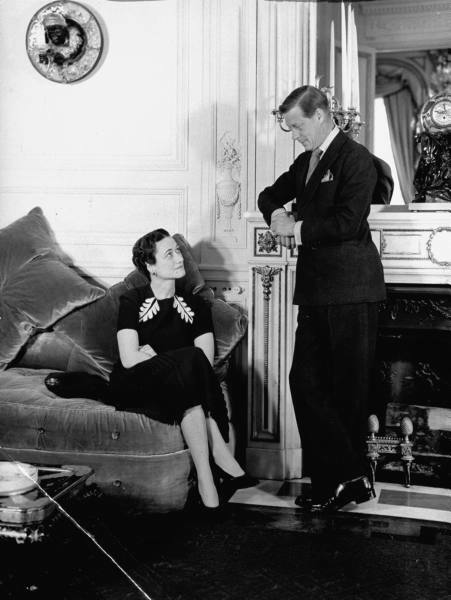 Financed, directed and co-written by Madonna, the film is primarily about the Wallis Simpson, the American divorcee for whom King Edward VIII abdicated the British throne in 1936. Ardently loved by Edward, yet fiercely hated by many (and a suspected Nazi sympathizer to boot), Wallis has long been an intriguing character to me. Scandal, indulgence, fashion, luxury and passion. The makings of a great story. I’ve also been hearing wonderful things about Andrea Riseborough as Wallis and I look forward to her performance. I’ve never known one person so utterly possessed by another, as he was by her. W.E. opens February 3, 2012. § One Response to Coming Attraction: W.E. I look forward to this as well…thanks for the heads up on the movie. Their characters had a brief presence in the movie “The King’s Speech”; a wonderful movie that surprisingly moved me considerably. You are currently reading Coming Attraction: W.E. at Quite Continental.